Tangled and True: apple jacket. Teacher appreciation week is the first full week in May. Add a little something extra to your apple before passing it along this year. 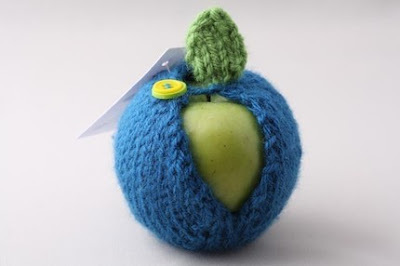 What teacher wouldn't love a handmade apple jacket. They'll never have to eat a bruised apple again. Double bonus, they are adorable! loved it so much - I just ordered two!